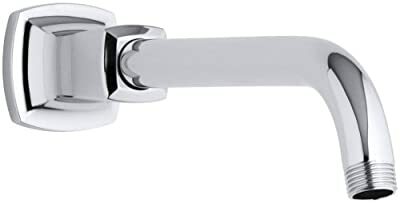 K-16280-CP Finish: Polished Chrome Features: -Margaux Shower arm and flange.-Complements Margaux faucet line.-Fluid design lines for ease of cleaning. Options: -Available in several finishes. Construction: -Solid brass construction for durability and reliability. Color/Finish: -KOHLER finishes resist corrosion and tarnishing, exceeding industry durability standards over two times.